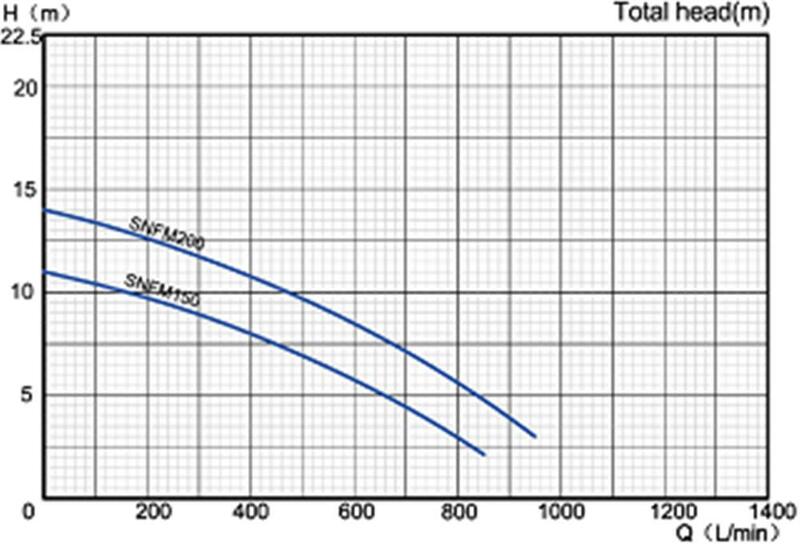 SNFM pumps are specifically designed to achieve high delivery rates with low to medium heads for industrial and agricultural use. Two flanges with screw make it installation and maintenances simple and easy. Its volute and impeller make it able to pump water that is even fairly dirty. High delivery rates under continuous or heavy duty, making them advantageous for rain and gravity irrigation,for pumping water from lakes,river, wells and for a wide variety of industrial uses where high deliveryrates mush be achieved at low to average heads. 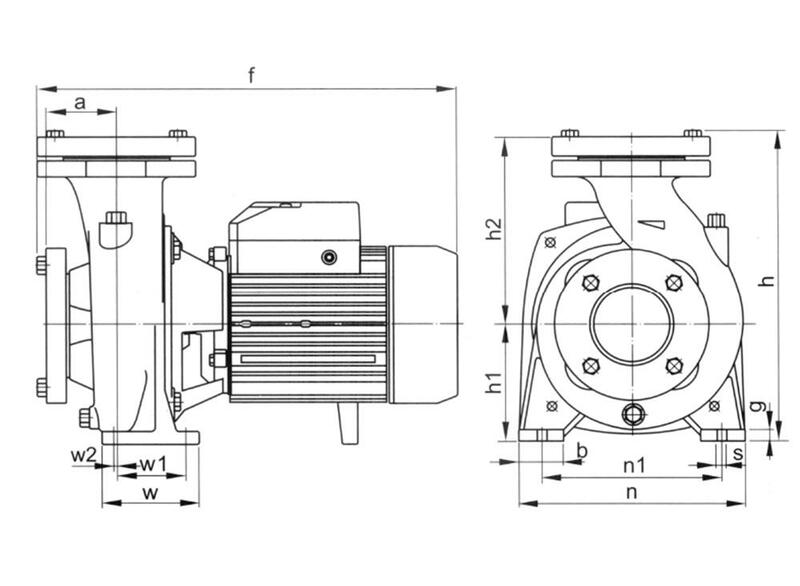 With a single centrifugal impeller cantilevered on the motor shaft directly, the SNFM pumps have acompact size, extremely reliable, very simple to use and almost maintenance-free.These pumps should be installed in a covered area, protected against the weather.